Updated Picture: This is how it looks in our new home. 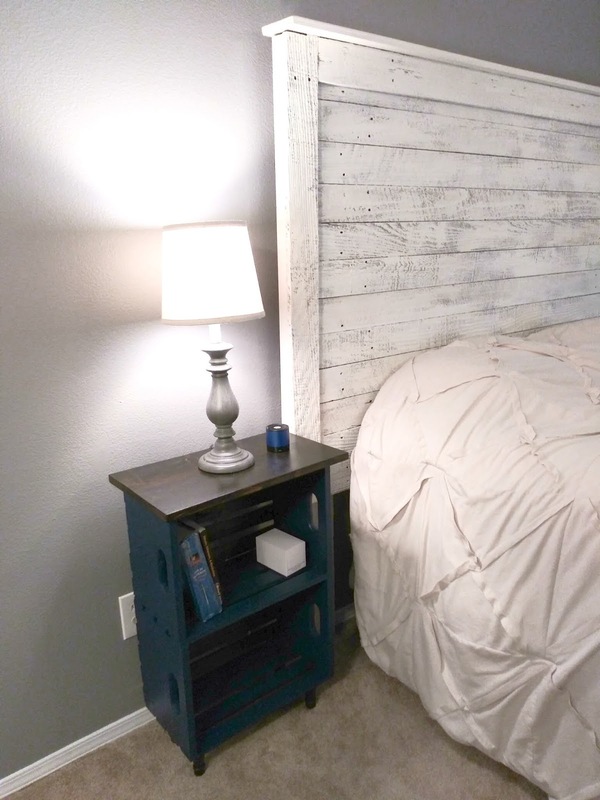 ~swoon~ To see the crate nightstands, click here. We're in the midst of giving our home a facelift from the inside. Painting, decluttering, more painting, googling "how to decorate a shelf" (I even started a Pinterest board on #shelfies because I'm lost on making things look professional) you know, the little changes that add up to create an impact. Did you know that Sherwin Williams will send a paint consultant to your home? She was wonderful! 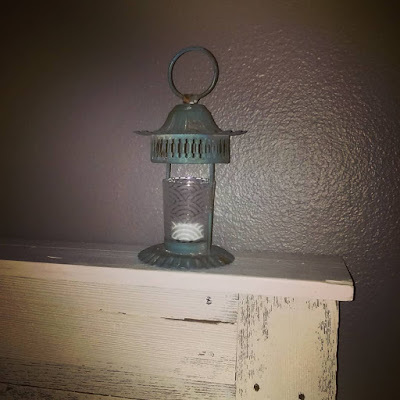 She walked around and looked at the natural light sources, listened to our color scheme ideas, and made suggestions based on our home furniture and decor. (Not paid by Sherwin Williams to say this...just passing along good info.) 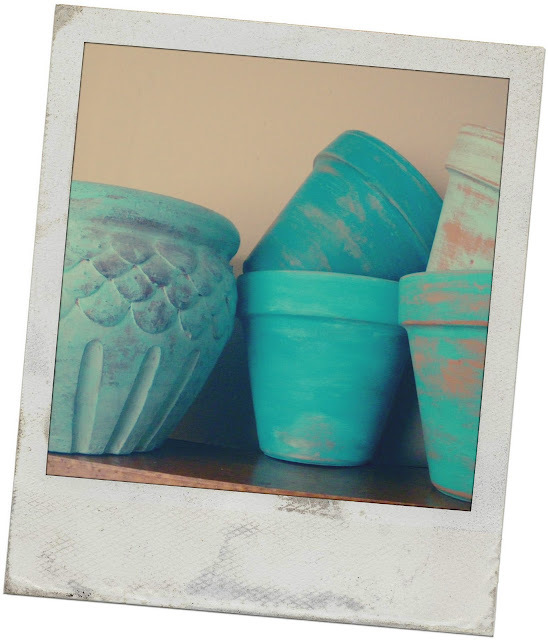 No more buying/trying several paint samples before deciding on a color. 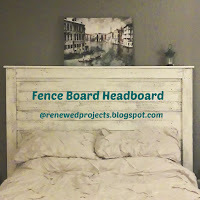 We're switching our Boho influenced bedroom to a farmhouse look, hence the need for a new headboard. 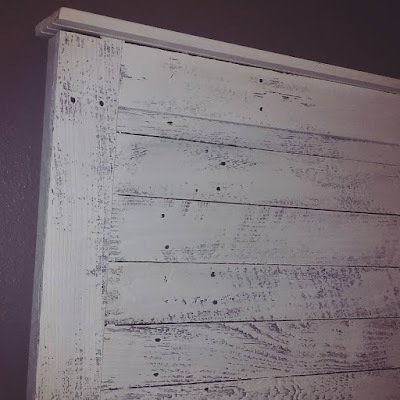 I'll keep the shutters/headboard for another project. 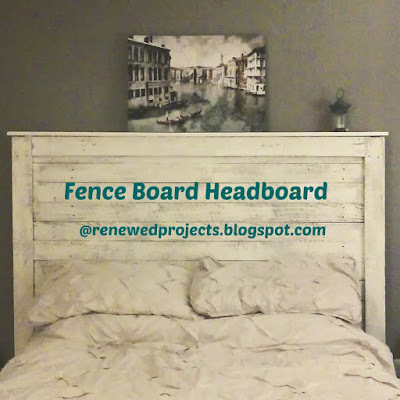 There is no shortage of pallet headboard tutorials and mine is a compilation of several found here on my Pinterest board: bedrooms. I couldn't really tell you which ones I borrowed from but if you want a tutorial, check here. What follows are more "progress photos" than an actual tutorial, why reinvent the wheel? Pre-Step: wash and scrub, and scrub and wash those boards. They are DIRTY! 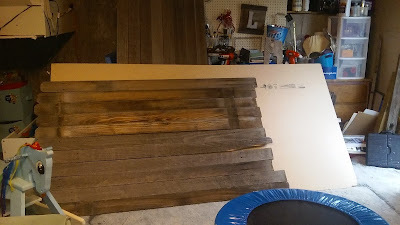 After drying, sand down or use a planer to get rid of the splinters. 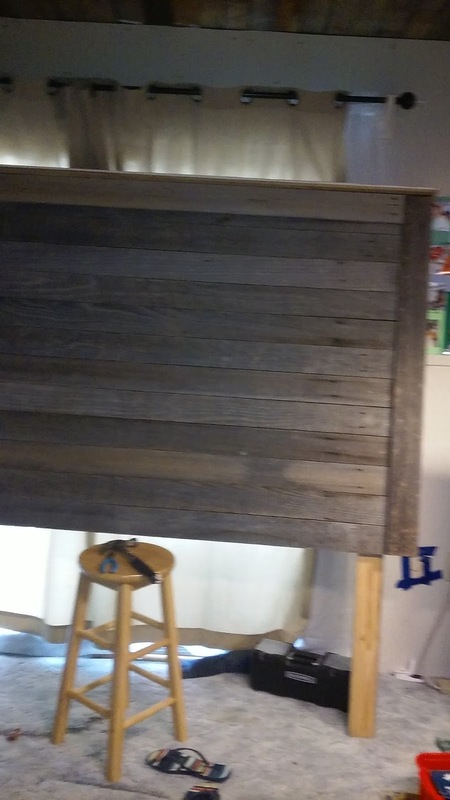 I used a hand sander and am please with the finish. Cut subfloor to length and width of fence boards. 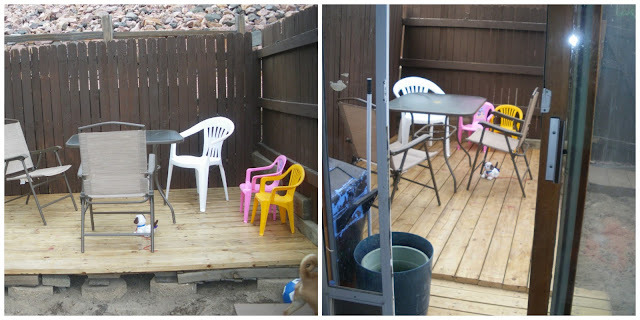 Attach legs FIRST before adding the fence boards. 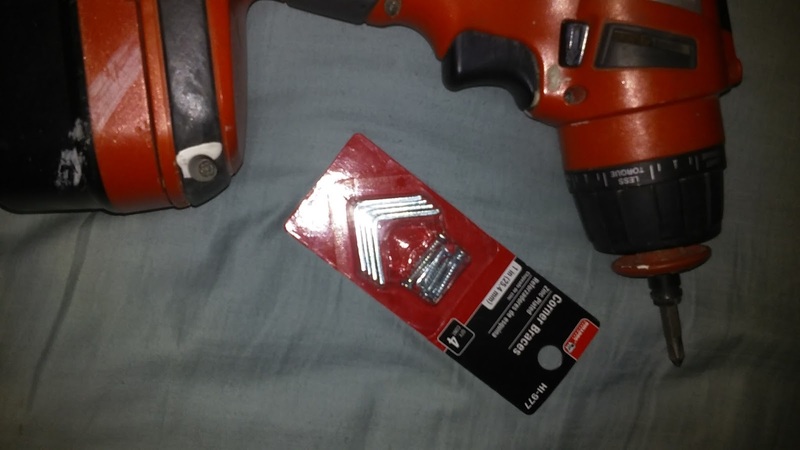 This will hide the screws. 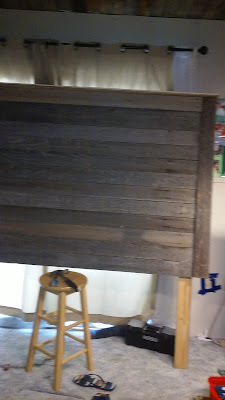 Use wood glue or similar adhesive along with finishing nails to secure boards to the backboard. Weigh it down while it dries: bricks or clamps. Add the frame, secure like above. 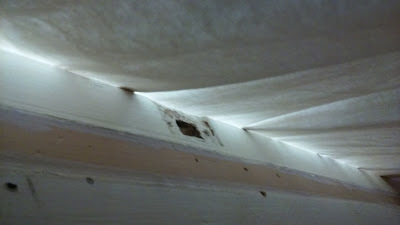 If needed, add support along the back side edges to hide the subfloor backing. 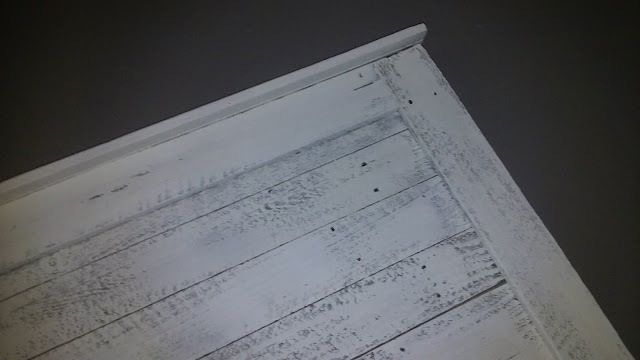 Top shelf is a door frame from the Restore. 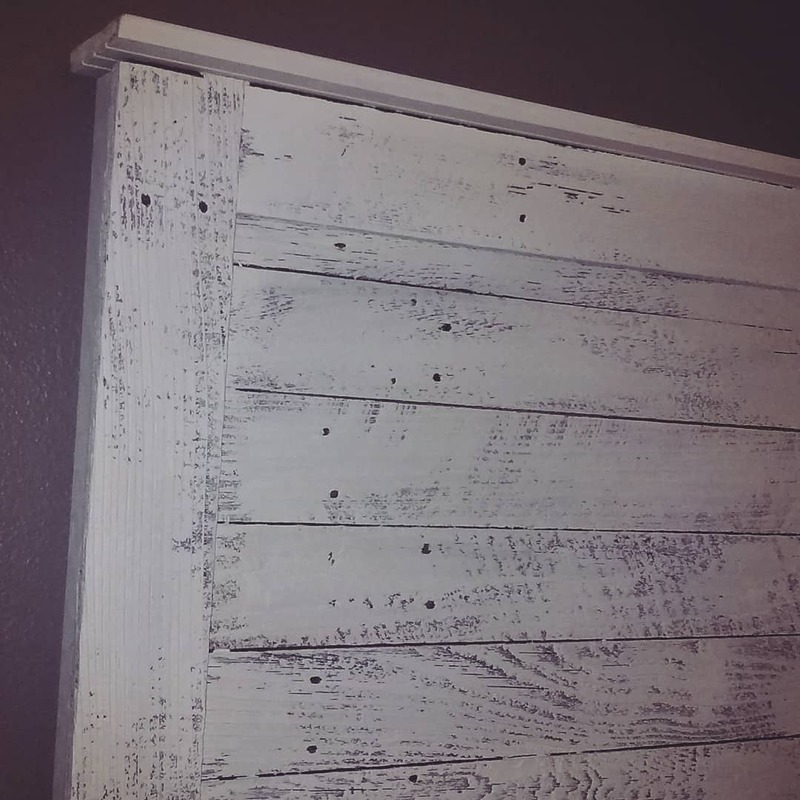 Restore wood is .20cents a foot and I love the funky look this brings to the headboard...even if it is taller than I am and I won't ever see it. I like the little "lip" of the top shelf. Found this funky oriental lantern at the local thrift store. Love the patina! The bed frame is tall enough that we can sit up heading without smacking our heads on the top shelf. 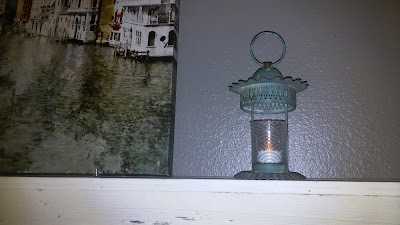 A couple coats of choppy DIY chalk paint in an off-white completed the worn look I was going for, or, as my kid's lament, "Why do you make things look old?" They cannot comprehend the distressed craze. We just repainted our room in a greige. 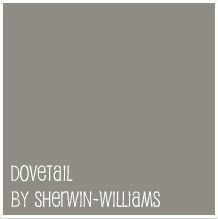 The accent wall is Dovetail Gray by Sherwin Williams. It's a gorgeous greige if you're in the market for paint colors. The color slightly shifts as the sunlight changes. The creamy white of the bed contrasts nicely with the dovetail. I NEVER make the bed...can you tell? This is my best effort. Kudos to those of you who do this every.single.day! Step Four: Use corner braces to anchor it to the wall. 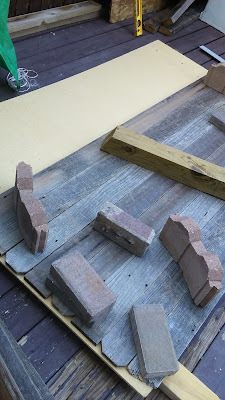 I also added foam pads along the support beam in the back and along the side to keep the frame from scratching the paint. 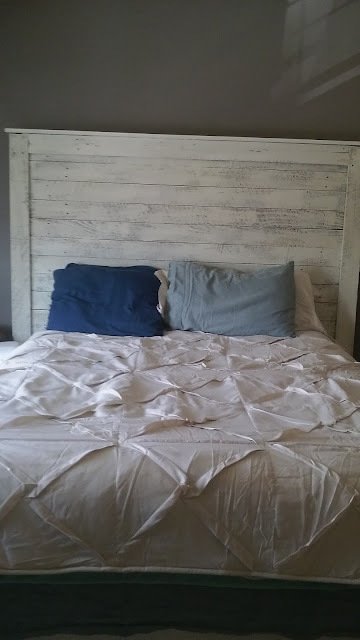 And I'm loving the "new" headboard in my master bedroom. 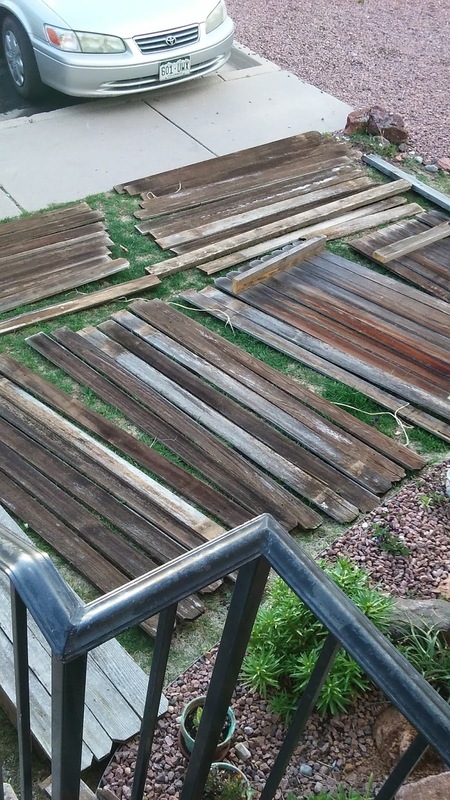 The best part is that it cost around $20 to make since most of the materials were free or from my stash; that and a lot of elbow grease. This is so freaking awesome! And really, $20?! Holy budget friendly! Love love love it! Right? 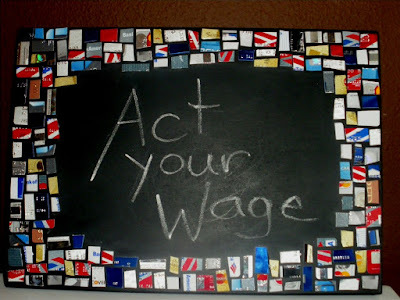 We can't even take our family out to eat for $20, those hungry little piglet-children. I love your phrase, Holy budget friendly, reminds me of the old Batman show. Oh this is SO pretty! A great tutorial that I will tuck away. We just bought an iron bed so I won't need this right now but your pictures and explanation are great and easy to follow! Love the addition of the shelf too! 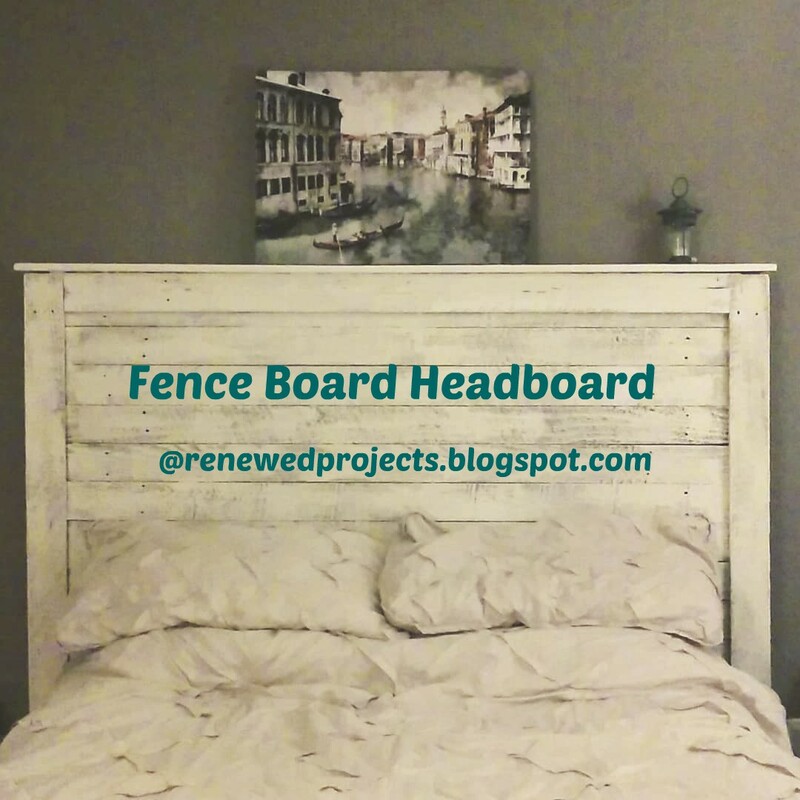 I bet your iron bed frame is so lovely! 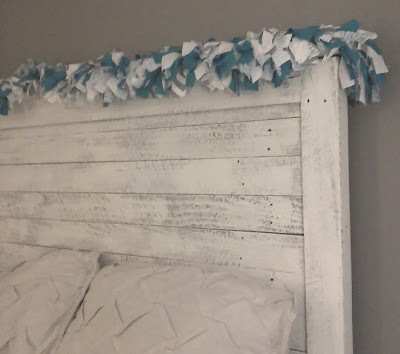 Its on my "to buy" list when I do a whole room makeover with a larger mattress. The shelf was a must, so many cute decor ideas on Pinterest for over-the-bed shelves, now to whittle down my Pinterest board ideas! Beautiful. You are super crafty and never cease to amaze me. I love the color of the room and the addition of that garland. Dreamy...and enjoy!! Awwww, thanks Kim! Wish I could take credit for the garland but my sister made it. Love the headboard!!! Looks great!! Thanks so much for stopping by!! And for your kind words!! I am so far behind in my return visits!! Happy New Year to you!! !